Double-click any message; the “Edit Thru message” window opens. You can also right-click any message and click Open. 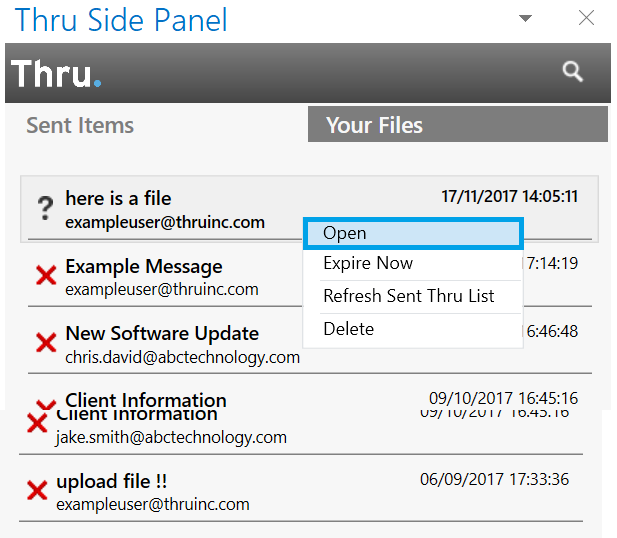 This window shows additional details of a Thru message like the tracking number, expiration date, message body, attached files and whether or not the message has a password requirement to download files. From here you can make multiple changes to a Thru Email after it has been sent. Note: Be sure to always click “Save Thru and Close” after making changes.